WHAT'S IN IT FOR THE BARS? Landfilling glass bottles is cheaper and easier than recycling them, which requires employee training, increased space demands (for separate containers), and additional pick-up fees. Recycling can feel good, but is that enough? The truth is that, for many local bars & restaurants, recycling glass bottle is a high-cost, low-reward proposition. 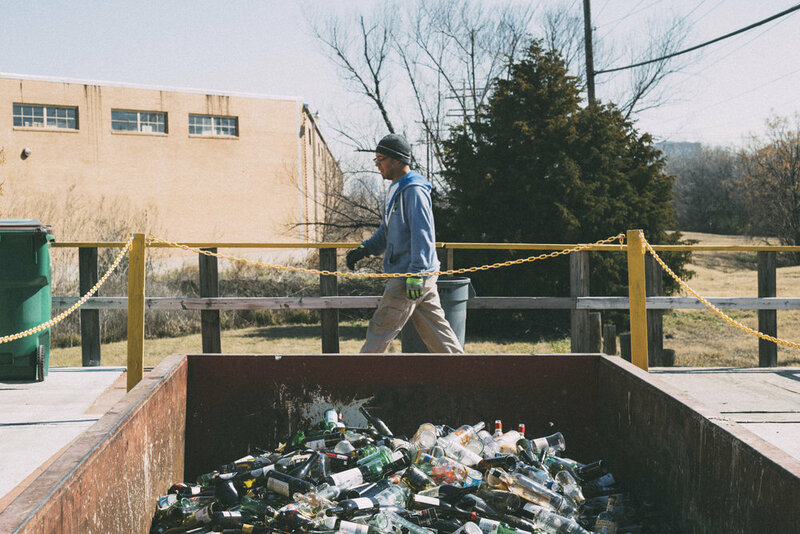 Landfill 'tipping' fees in Dallas are among the lowest in the region (and the U.S. as a whole), and Texas is one of 40 states without a bottle bill (despite ongoing efforts to change that). And before you ask, no: there aren't any tax benefits available to small businesses that take it upon themselves to divert resources from local landfills. So what can establishments gain by implementing an effective, responsible recycling program at the workplace? Here again, the benefits appear significant, yet largely intangible and distant: boosted staff morale, stronger community ties, and a valuable PR opportunity for establishments that effectively market themselves as 'green', 'local', 'ethical', or otherwise socially- and/or -environmentally responsible. Good reasons? Of course. Great ones, even. But are they enough to make a business expose themselves financially?